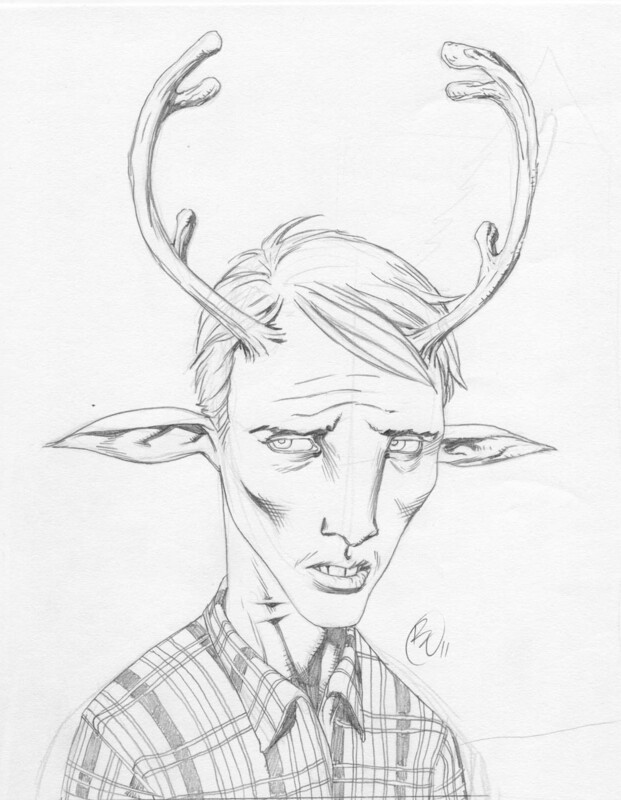 Jeff Lemire's Vertigo title, the post-apocalypic "Sweet Tooth" is a great, fast and poetic kinda read (buy IT and other titles here). He won the "First drawing in my new blog award" and recieves the coveted no-prize. Pencil 8.5x11. Click to embiggen.